Under the Fourth Amendment to the United States Constitution, Americans have a basic right to be free from unreasonable searches and seizures. Before conducting a search, police officers are usually required to establish probable cause and to obtain a warrant from a judge. However, there are some important exceptions to this general rule. Here, our Miami search warrant lawyers provide an overview of the three key exceptions that permit Florida law enforcement officers to conduct a warrantless search. The Defendant Gave Consent: If a police officer wants to conduct a search of you or your property but they lack a search warrant, they can simply ask you for their consent. 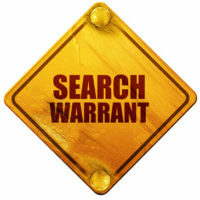 If you give consent for a search, then no warrant is required. In far too many cases, people give consent without understanding the implications of what they are doing. You have every right to say “no” to a requested search. Refusing to give your consent is not ‘suspicious’; it is your constitutional right. Do not feel pressured into allowing a search that you are not comfortable with. The Plain View Doctrine: Florida police officers do not need a search warrant if they can see “evidence” of illegal activity that is in plain view. As an example, imagine that a driver is pulled over after running a red light. When the officer reaches the window they see a visible firearm in the passenger seat. That weapon is now in plain view. An officer can take enforcement action — assuming the gun is illegal — without obtaining a search warrant. Emergency Circumstances: Finally, there is a doctrine that allows for exceptions in emergency situations. In an emergency, officers may be justified in taking action — including action that leads them to discover evidence through a search — without obtaining a warrant. Unfortunately, there have been cases in which law enforcement agencies attempt to stretch the emergency exception beyond its breaking point. If a court determines that the emergency exception did not actually apply, then the illegally obtained evidence might be excluded from future criminal trials. At Ratzan & Faccidomo, LLC, our top-rated Florida criminal defense lawyers have extensive experience handling all types of search warrant cases. If you believe that you or your loved one was the victim of an unlawful search or an unlawful seizure, we are here to help. To get a free and strictly private review of your case, please do not hesitate to contact us today. We represent defendants in throughout Miami-Dade County and all of South Florida.